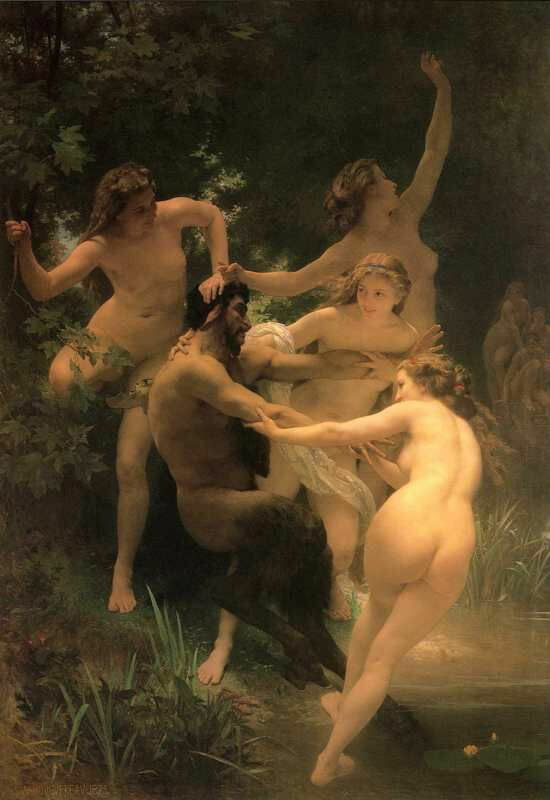 World Famous Paintings 미술 - 세계명화감상 - Nymphs and Satyr. 1873. Oil on canvas. 260 x 180 cm. Sterling and Francine Clark Art Institute at Williamstown, MA, USA.